Het Nieuwe Instituut is situated in the centre of Rotterdam, about 15 minutes on foot from Rotterdam CS railway station. 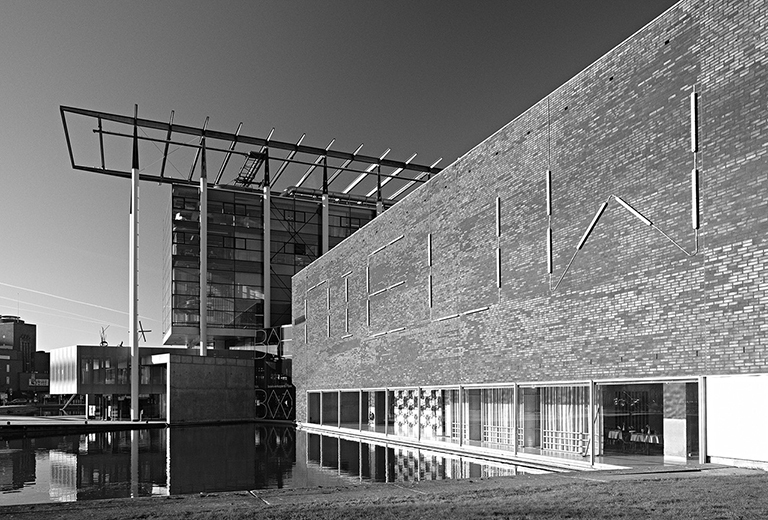 The building is part of the Museumpark and is located diagonally opposite Museum Boijmans Van Beuningen. Het Nieuwe Instituut can be reached using public transport, with the metro (to Eendrachtsplein), tram 7 (to Museumpark), tram 4 (to Eendrachtsplein) and bus 44 (to Wytemaweg). 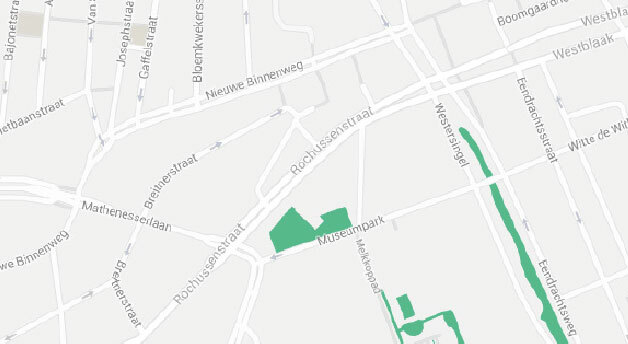 Paid on-street parking in the vicinity of Het Nieuwe Instituut is limited, but the Museumpark car park is situated opposite. Save money on one or two hours parking in Rotterdam. Rotterdam city council provides special parking tickets, available on the website Parking in Rotterdam (Dutch). Het Nieuwe Instituut has a disabled parking space. Ring the bell at the barrier opposite Sonneveld House on the Jongkindstraat and drive to the end of the car park, where a member of the Reception team will meet you. Het Nieuwe Instituut also has a wheelchair for visitors who require one. Sonneveld House has limited access for people with disabilities and is not accessible for pushchairs and wheelchairs.